Got Zucchini? Make kofte curry! I wanted to buy cucumbers, from my local grocery store, but picked up zucchini instead. Ignorance was to blame; I had never had zucchini in India. 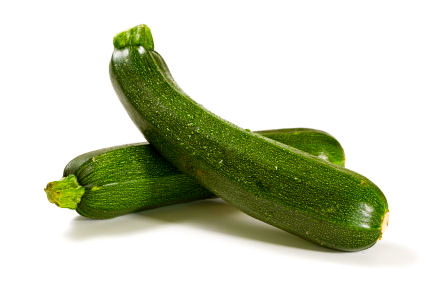 Six years later, zucchini have become a staple in my diet and they are gaining popularity in India too. Today I was in the mood for experimenting. 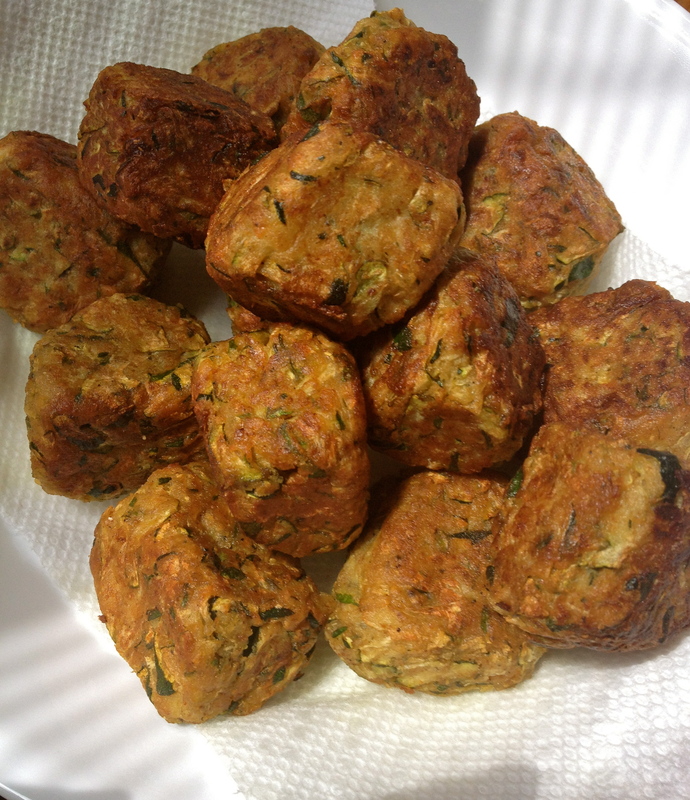 I decided to grate the zucchini and make veggie koftes out of it. 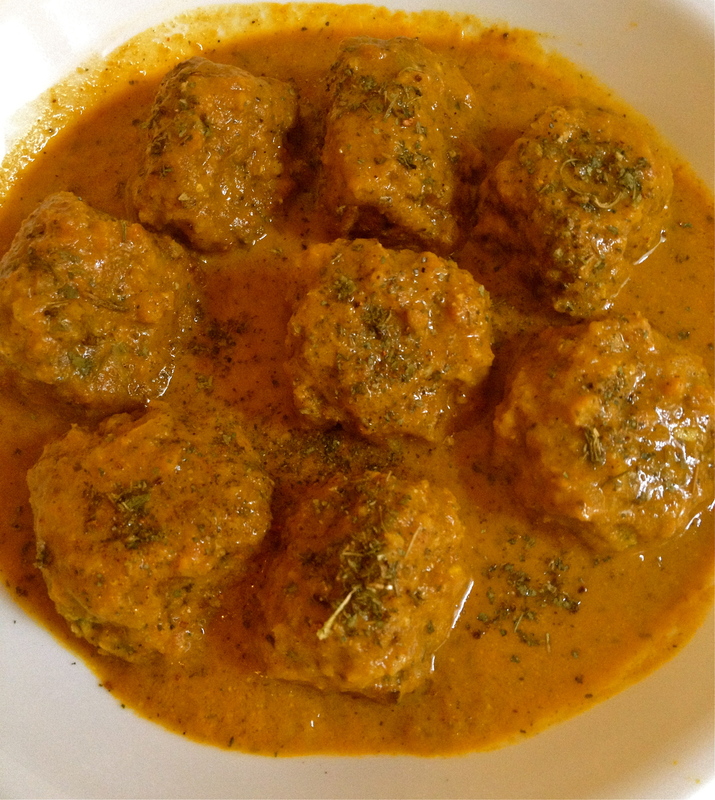 I pan fried the koftes, which were later simmered in a tomato-yogurt-cashew-based gravy. Ginger-garlic-onion paste forms the base of the gravy, which then achieves a spicier note with the addition of spices like cumin, coriander and garam masala. The tomato puree and yogurt help in mellowing the heat and the cashew paste imparts a creamy texture. The kofte curry adds a myriad of flavors to this otherwise bland squash. Categories: Vegetarian | Tags: zucchini, zucchini curry, zucchini indian recipe, zucchini kofte, zucchini kofte curry, zucchini recipe | Permalink. Interesting article. You should use social websites to increase traffic and make your site go viral.